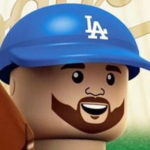 On this episode of “Dugout Blues,” Jared Massey (Dodgers Nation) and I return from a recent absence to recap — mostly — the Dodgers’ doings at the trade deadline. But first, we speak highly of one Clayton Kershaw. I’m really not sure what’s left to say about this guy. We also speak highly of Zack Greinke, who is also really, really, really, really, really good at baseballing. The Dodgers made one big move at the trade deadline, and — surprise surprise — we approve of the deal. Alex Wood and Mat Latos aren’t David Price and Cole Hamels, but the Dodgers needed some quality depth for the rotation, and they got it. They also got who might be their future second baseman in Jose Peraza. Overall, the nerds had a really great first trade deadline. Julio Urias is back and threw 5 1/3 no-hit innings on Saturday. He’s still good, but we’re worried 2015 might be a lost season for the teenager. Corey Seager missed eight days with the flu, but since he’s return, he has homered and had a 4-hit game. He’ll be in Los Angeles before too long, but I’m guessing it isn’t until 2016. Jharel Cotton has a future in the majors. It might be in the rotation, it might be in the bullpen. But, he will pitch in the majors if he continues to pitch as well as he has in the minors thus far. As usual, the podcast closes with a substantial Q&A session. Thank you for the questions. Look for new episodes of “Dugout Blues” every Monday. Don’t forget to subscribe to the podcast and review us on iTunes. We want to make this the best podcast we can so we’re always looking for suggestions and ways to improve. If you have questions you’d like us to answer or certain topics/players you want to hear more about, feel free to email us (dugoutbluespodcast@gmail.com) or send us messages on Twitter (@JaredJMassey or @DustinNosler). You can also “Like” the podcast on Facebook. We always welcome audience participation.